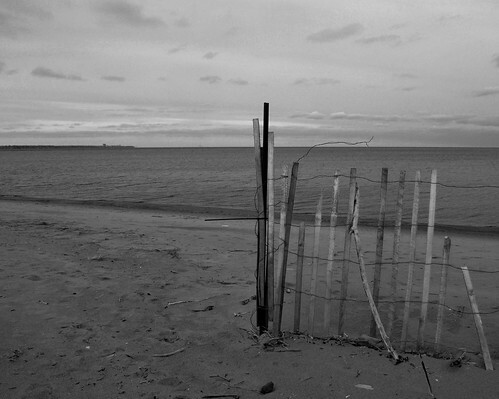 Desolate Hamilton Beach, originally uploaded by Gregory Pleau. Another photo from yesterday’s walk along the Hamilton Beach Trail. This is an image of a snow fence that’s erected at the beach access. I downloaded the trial Capture NX and used it to process this image just for fun. How much would you want to have the Hamilton picture (B&W) to be used for a book cover?